On July 23, 1999, the Chandra X-Ray Observatory, the most powerful X-ray telescope ever built, was launched aboard the space shuttle Columbia. Since then, Chandra has given us a view of the universe that is largely hidden from telescopes sensitive only to visible light. 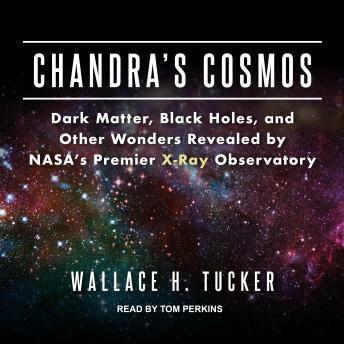 In Chandra's Cosmos, Wallace H. Tucker uses a series of short, connected stories to describe the telescope's exploration of the hot, high-energy face of the universe. The book is organized in three parts: 'The Big,' covering the cosmic web, dark energy, dark matter, and massive clusters of galaxies; 'The Bad,' exploring neutron stars, stellar black holes, and supermassive black holes; and 'The Beautiful,' discussing stars, exoplanets, and life. Chandra has imaged the spectacular, glowing remains of exploded stars and taken spectra showing the dispersal of their elements. Chandra has observed the region around the supermassive black hole in the center of our Milky Way and traced the separation of dark matter from normal matter in the collision of galaxies. Tucker explores the implications of these observations in an entertaining, informative narrative aimed at space buffs and general readers alike.